Use the high-pressure probe to carry out pressure tests up to 25 bar and pressure tests on fluids. The testo 324 only enables pressure testing of gaseous media up to 1 bar. 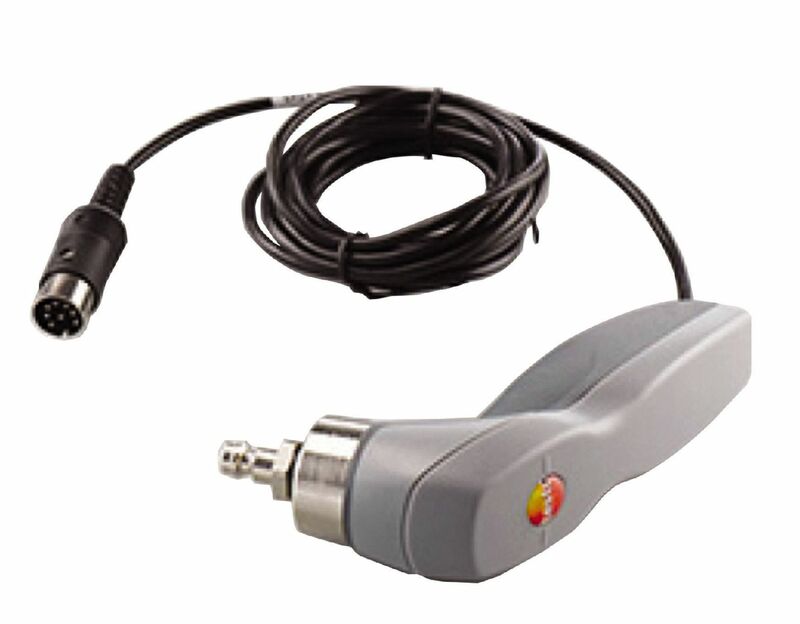 This high-pressure probe can also be used for liquid media and it has a 25 bar pressure range. This means that high-pressure tests on water pipes or tests on waste water pipes according to DIN EN 1610 are possible. High-pressure probe with fixed cable.